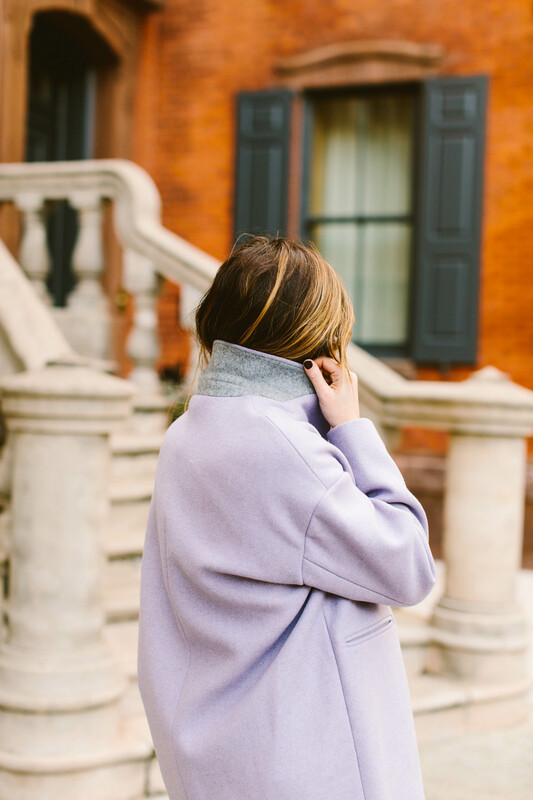 Seriously cute skinnies (that almost-black wash is to die for), a swingy cashmere turtleneck, and a gorgeously oversized topcoat in the prettiest shade of lavender…I’m so happy. 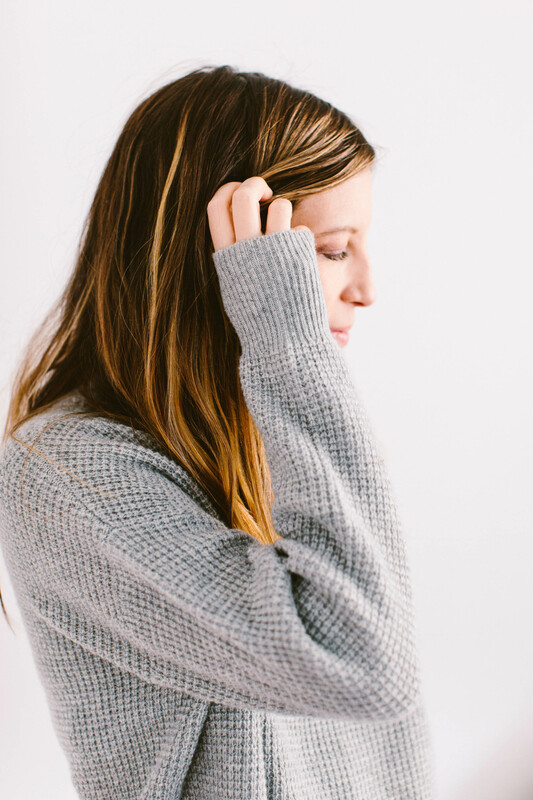 These are practical, beautiful, wear-everyday, HAPPY clothes. A note on the topcoat: it’s meant to be oversized. I actually loved the fit — not only does it give it a modern, fashion-y look, but you can easily fit a thick sweater underneath. (That’s typically my issue with slim-fitting topcoats — they’re tailored so tight in the arms that I can’t layer with cozy sweaters.) This one? Layer away! 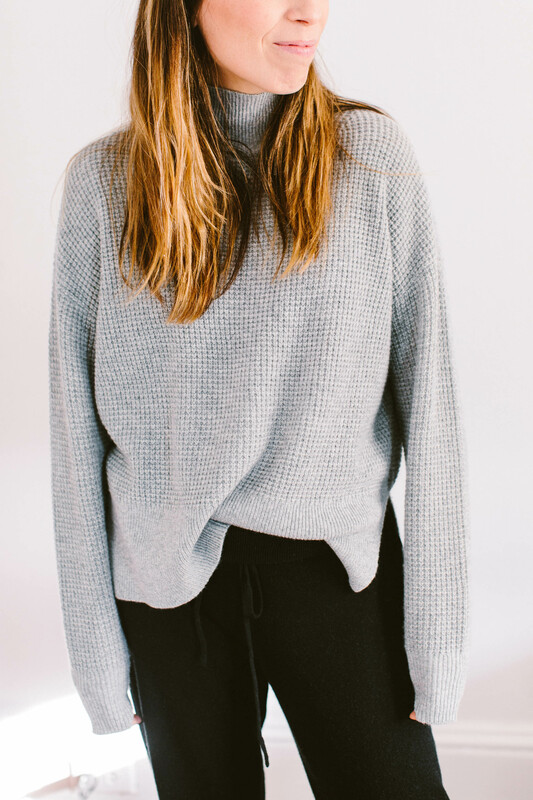 sweater: Everlane Cashmere Square Turtleneck Sweater (xs) – Fits so nicely in the shoulders, with a cute, swingy shape. 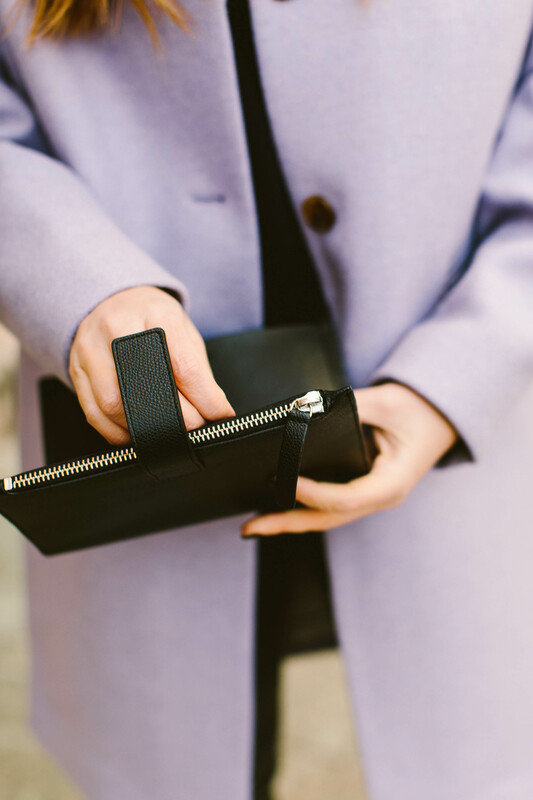 coat: Everlane Cocoon Coat (size xs) – this coat is surprisingly warm! I think the oversized nature warms it up a bit. 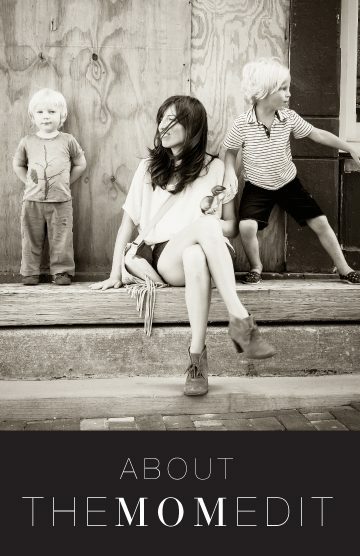 heels: Everlane Day Heels – soooo pretty. I found that these heels run big. I need to swap them for a full size down, in order to keep the back part up. 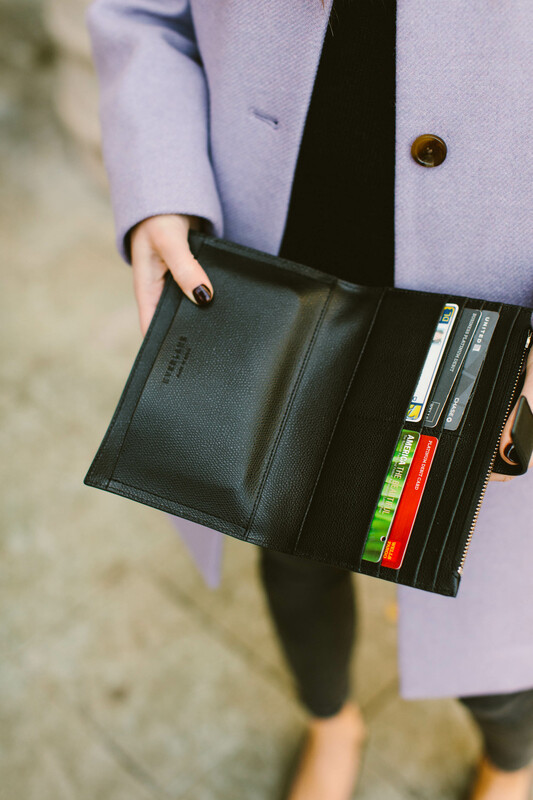 clutch: Everlane Traveler’s Wallet – so freaking pretty it doubles as a clutch. 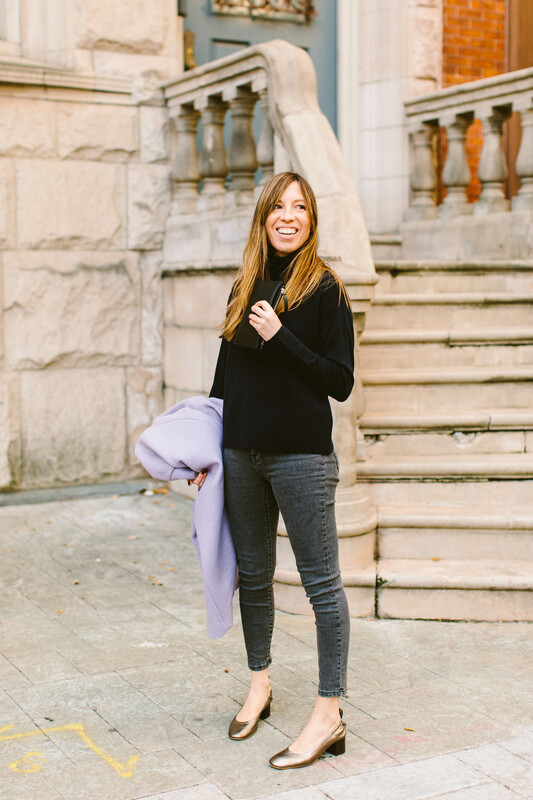 I had a hard time deciding which pieces to feature….so here’s the list of allllll of the things that I’m currently crushing on at Everlane (including the pieces from the photos). 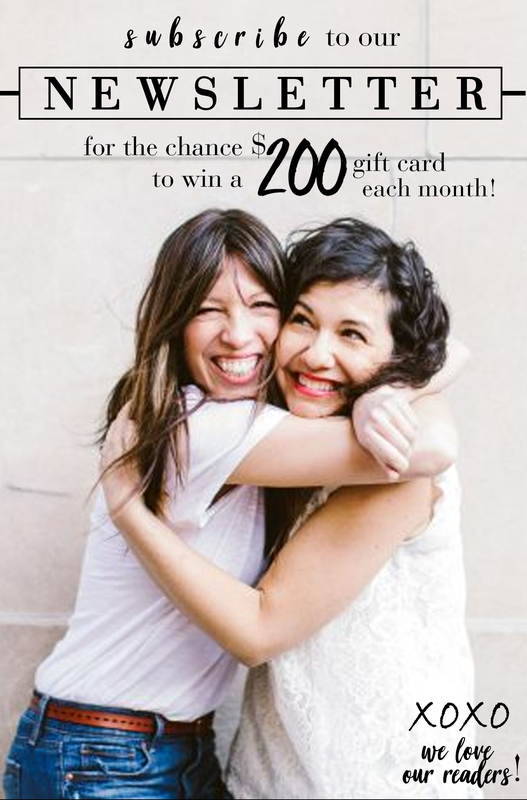 A huge thank you to Everlane for sponsoring this post! Our the entire team is allll crazy about Everlane right now, so this partnership was so much fun to work on. As always, all thoughts, opinions, and product choices are my own. And readers, thank you for your continued support. It doesn’t go unnoticed, and is so very much appreciated! I’ve been obsessed with the day heels for ages now, but haven’t dared try them. Shoes can be so tricky. I know you said you have the wrong size on, but can you tell anyway how comfortable they are? Are they stiff or unforgiving in any way? Do they run narrow or wide? Sorry, dying for more info. The leather is VERY soft. Which I think may have been part of the problem: Soft leather + slightly too big meant that they were sliding off my heel.